Manuscript submission must be performed via an electronic submission system. 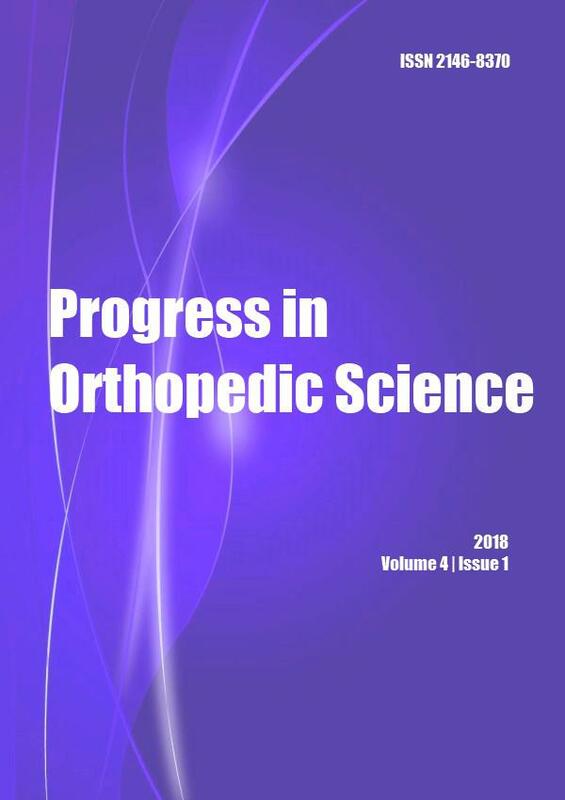 Progress in Orthopedic Science guarantees a quick peer-review process which will be finished within a maximum of two month, followed by a period for proof-corrections and 'online first' (before print) publication which will not exceed one additional month. -Original Research (Original Article)s: full length experimental or clinical research articles providing innovative knowledge to the biomedical literature. -Commentary Letters (Letters to the Editor): responses to articles published in previous issues of the Journal of Molecular Pathophysiology reflecting a basis of scientific discussion among qualified academicians. Ethical Standards Manuscripts submitted for publication must contain a statement (cover letter) to the effect that all human studies have been approved by the appropriate ethics committee and have therefore been performed in accordance with the ethical standards laid down in the 1964 Declaration of Helsinki. It should also be stated clearly in the text that all persons gave their informed consent prior to their inclusion in the study. Details that might disclose the identity of the subjects under study should be omitted. Submission of a manuscript implies that the work has not been published before, that it is not under consideration for publication elsewhere, that its publication has been approved by all co-authors as well as by the responsible authorities at the institute where the work has been carried out. These details have also to be included in the cover letter. The publisher will not be held legally responsible if there should be any claims for compensation. Abstract: following the title page, a summary of the entire article should be outlined in subsections as follows; a statement of the work's purpose in'objective', followed by a brief description of the study's design in 'methods' and a clear declaration of the 'results', and finally, a concise presentation of the'conclusions' have to be given. Santoni G, Morelli MB, Santoni M, Nabissi M. New deals on the transcriptional and post-transcriptional regulation of TRP channel target genes during the angiogenesis of glioma. J Exp Integr Med 2011; 1:221-34. Yuen HK, Westwater C, DeGarmo J, Bandyopadhyay D. Immediate effect of xylitol chewing gum and mouth rinse on salivary levels of mutans streptococci in adults with systemic sclerosis: a pilot study. J Exp Integr Med 2011; doi:10.5455/jeim.221111.br.009. Bocci V. Retinal degenerative disorders. In: Ozone. A new medical drug. 2nd edition, Springer, Dordrecht, Netherlands, pp 133–145, 2011. Barry M, Meigs JB. The natural history of benign prostatic hyperplasia. In: Lepor H (ed) Prostatic Diseases, Saunders, Philadelphia, pp 106-115, 2000. The inside story: a guide to indoor air quality. In: U.S. EPA/Office of Air and Radiation Available viahttp://www.epa.gov/iaq/pubs/insidestory.html (Accessed 18 December 2011). Figures: figures must be submitted, in the form of TIF (TIFF) or JPG (JPEG) files and with a minimum resolution of 600 dpi, separately. The figures will automatically be incorporated into the final pdf document by the online manuscript tracking system. Legends for the figures have to placed at the end of the main document after tables. Identify previously published material by giving the original source in the form of a reference citation at the end of the figure legend. All figures are to be numbered using Arabic numerals. Figures should always be cited in text in consecutive numerical order. Cite your figure files with "Fig" and the figure number (e.g., Fig.1). Figure parts should be denoted by lowercase letters (a, b, c, etc).